The beloved Scottish jangle-pop group returns with an album that plays on a surprising mesh of traditional sounds both familiar and otherwise. Trying to classify the Trashcan Sinatras is a bit of a tricky proposition. They’re light and airy, but not so much that they lean into twee. They’re poppy, but not aggressively so. Yet, they don’t indulge in the sort of cerebral pop composition that would place them in the “sophisti-pop” realm occupied by fellow Scots Orange Juice or Aztec Camera. At their best, though, they’re an irresistible listen; they make the sort of records that one can play over and over again without letup. Their early work has this effortless charm that pleases easily. On Wild Pendulum, though, the band display a larger amount of effort bordering on fussiness. While the album may be jarring for some, the Sinatras display enough of the pop magic to maintain their appeal. For all of its appeals, jangle-pop has a distinctly conservative bent, musically. Critics would accuse a band like Trashcan Sinatras of sounding same-y over time, and Wild Pendulum comes across as something of a refutation to those claims. Throughout, the band and producer Mike Mogis sprinkle these songs with strings, bells and keyboards that give songs a chamber-pop feel, a far cry from the self-produced, amicable jangle of I’ve Seen Everything or Cake. When the band play a more typical song like “Ain’t That Something,” it almost feels incongruous alongside the rest of the album... until the band break into a vocalizing, string-laden bridge that feels right at home in the world they’ve constructed on Wild Pendulum. Initially, the band use this new, lush arrangement to add depth to their songs, as they do to great effect on the wonderful “Let Me In (Or Let Me Out)” and “Best Days on Earth". Indeed, side one of the album feels very much like a Trashcan Sinatras album, albeit one with a few twists and flourishes that are unique to the band’s catalog. As Wild Pendulum progresses, though, the band shift from their familiar guitar pop towards something even more traditional and, dare I say, anachronistic. “The Neighbour’s Place” evokes memories of old country and folk played on busted AM radios in the Midwest, while “I’m Not the Fella” and “The Family Way” feel like renditions of standards in the style of the crooners who made songs into standards in the first place. It’s hard to tell whether these choices were made as a lark or out of loving tribute, but the feeling of surprise and slight confusion on the part of the listener remains. It was always common knowledge that Trashcan Sinatras were fans of pop, and in its strange second half, Wild Pendulum demonstrates just how far their knowledge and appreciation of pop goes. 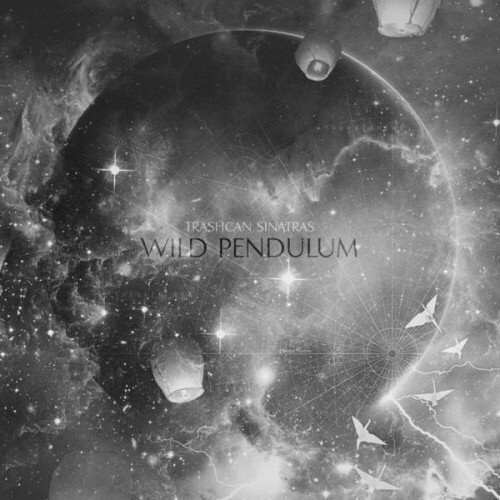 Even so, Wild Pendulum’s flaws are admirable ones, the result of ambition more than apathy. Furthermore, the lush ornamental arrangements on these songs do little to disguise the effortlessly toe-tapping melodies that permeate each piece of music. Trashcan Sinatras still confound those looking to classify them, but maybe the classification isn’t important. After all, giving them a label or a genre tag isn’t going to stop them from doing what they want.